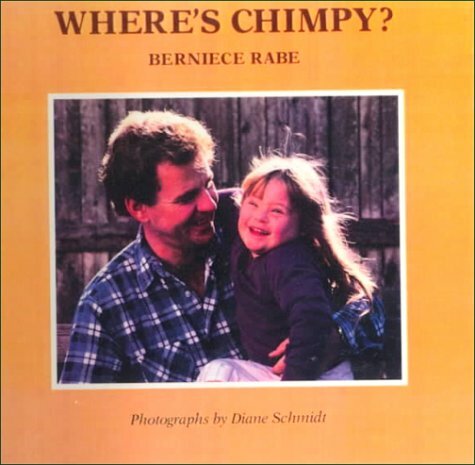 Home Rabe, Berniece Where's Chimpy? Kindergarten-Grade 2 Misty cannot go to bed without her stuffed monkey, Chimpy. She and her father look for it throughout the house and the yard until Chimpy is found at last, under a towel, and Misty finally goes to bed with her toy, after helping her father find his glasses. This is a simple book made different because it is a photographic story and because the little girl has Down syndrome. It thus becomes a photo essay on the fact that children with disabilities can and do enjoy the same things other children do. The full-color photographs are posed to go with the story, showing Misty looking for her animal, playing with her friends, and expressing her feelings. Misty definitely steals the show in the pictures. A brief introduction about Down syndrome is included. This would be a good book to share with children when discussing handicaps, particularly as it shows a disabled child participating in and enjoying regular play instead of concentrating on the differences. Margaret C. Howell, West Springfield Elementary School, Fairfax County, Va.<br />Copyright 1988 Reed Business Information, Inc.